Like most writers I really love my characters. I think we really have to love them to stay with them for a whole book, and especially a series. L.J. 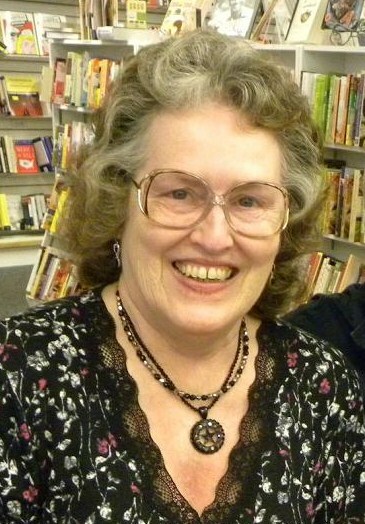 Sellers has kept her Detective Jackson series going because she still likes visiting every day with that detective and the cast of characters who continue from one book to another. It is the same with other series writers like Sue Grafton, Louise Penny, John Sandford, William Kent Krueger, and more. They/we all love our characters. In thinking about this to start writing a blog post about it, I wondered why these characters are so loved and so memorable, and I think I figured out at least one reason why. It's because we know so much more about them than the color of their hair or what kind of shoes they wear. We know how our continuing characters think and feel, so we know how they are going to react to a situation or event. We also know their back story - what happened in their lives before they started appearing on the pages of our books. That information is important so we know what shaped our character, and it is best if dropped into the current story in tasty little tidbits. Isn't that a better way to get to know someone than by being taken for a tour of their home or office before they even step into the scene? I just went through the galley for Stalking Season, the second book in the Seasons Mystery Series that debuted with Open Season, and when I finished I thought, gosh I love Sarah and Angel. 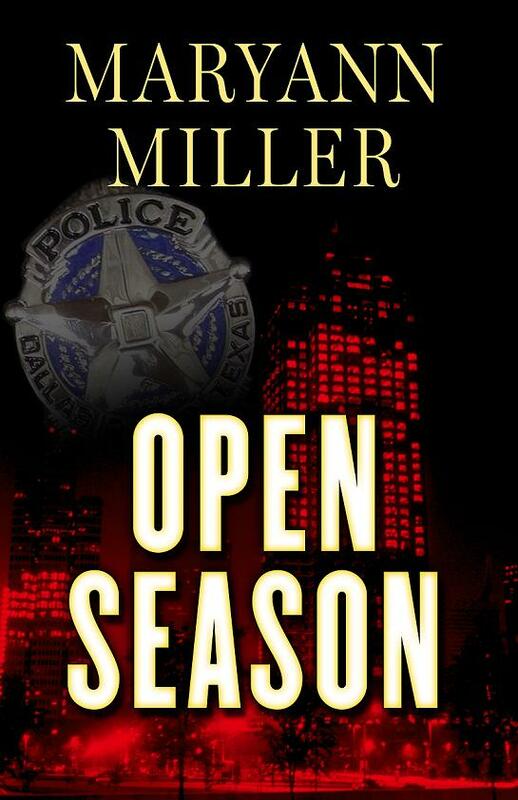 I started to connect with the two detectives as people again and couldn't wait to get started on the third book. I even considered abandoning the book I'm working on to start hanging out with these two ladies again. "A trickle of perspiration ran down Sarah’s back and dampened her white T-shirt. Shifting in the wooden chair, she contemplated the wisdom of taking off her jacket, then decided against it. He would interpret it as a sign of weakness." "The woman turned to give Sarah the briefest of nods, and she recognized the mass of tight curls haloing a creamy mocha complexion as belonging to a former patrol officer. Angel?" "Sarah turned sharply to look at Angel, and the elusive last name clicked. Something else clicked, too. An attitude that Angel wielded like a sword, heralding the proclamation, 'Don’t think that the only reason I’m here is because I’m a woman and I’m black.'" "Marco knew he wanted to be an artist from the time he was five years old and got in trouble for painting a mural on the living room wall." What about you? What characters have you fallen in love with, either your own or others? Do you have some examples of great introductions of characters? I like Dixie Hemingway and all the regular cast in Blaize Clement's series. These people, and especially Dixie, have all changed from book-to-book and that makes a series interesting for me. What have they lived through, how have they overcome challenges, how have they hurt, who have they loved? These are all experiences that create sympathies if not empathy. It's why we come back to find up what's up with them. It's less about plot, then how the characters handle the plot. Interesting post, Maryann. As I read it, I couldn't help but think about the bad guys (gals) in my own books. Do I love them? Not exactly. But I understand why they're bad, and that understanding allows me to give them depth and the occasional glimpse that shows they're not totally rotten through and through - unless, of course, they are, which is unlikely. Do I always love the good guys (gals)? Not necessarily. But I do have fun with them and their quirks that would keep me from choosing them as close friends. One particular character in the first book of a series I'm writing makes me mad. Sometimes I'd like to smack her, but my daughter loves her. (Go figure.) However, that character is always true to herself. So I guess I don't always love my characters. However, I do love writing about them and seeing where they take their lives within the framwork of the environment I've give them. Sometimes they surprise me. Now to one of your questions: the character introductions you included paint distinct images of the individuals on the printed page. They work! This is a great post. I love my characters, of course. (I even love my villains) But I also love so many I've read in books! I've been reading a lot of YA lately, and so I love Tiffany Aching from Terry Pratchett's Discworld series about her. And I love Mosca Mye from Frances Hardinge's wonderful books. I even wrote a blog post about them. Great writers can create great characters (whether good or evil), but the trick to them being so great is giving them the traits that make them as real as you or me. This is also the fun part. Dani, you are so right about it being about how the characters handle the plot. Early on I had a drama teacher tell me story is all about action and reaction. I try to keep that in mind when writing and when acting. Christopher, good example of a concise character intro. Linda, you are right that we don't have to love all our characters, but we do have to understand them. Donelle, I have heard a lot about those books by Terry. I often read YA, so maybe I should check them out. My opinion on what makes a character stand out for a reader is that the reader takes her/his cue from the responses of other characters. If other characters show concern, love, admiration, etc., or dislike, fear, contempt, etc., then the reader is likely to form an opinion regarding that character and remember him/her or even love/hate such a character, versus bland characters who elicit no reaction from the supporting cast. My favourite character is The Fool from Robin Hobb's Farseer Trilogy, an enigmatic character (we never even learn for sure whether this character is male or female) who is presented entirely through the observations and emotions of the protagonist-narrator. Superb characterisation. I also agree with Donelle's comment. One thing that made Tiffany Aching stand out as a character, for me, was her direct honesty about not liking her little brother because he was "sticky" (but rescuing him anyway). Who can't relate to that feeling of "yuck" when confronted with a sticky toddler? Good point, Elle. That was illustrated tonight at play rehearsal. None of the actors were getting deep into emotion until one really showed a strong emotion. Then they all were acting and reacting. It was so much fun to watch that start to happen on stage. I loved Sarah and Angel too. Wonderful story. Thanks for stopping by and giving a shout-out for Sarah and Angel, L.J. I am so glad you liked the book. That is high praise coming from you. If only we could see other people in the world as characters with backstories and wounds and relatable goals and motivations. It would stir compassion and love within us—such as what we feel for our own characters—instead of prejudice and annoyance. The great thing about characters though, as opposed to people, is that we can (sometimes) control when we interact with them. We can get away if we need to. Choose our battlegrounds more strategically. In this regard we have to watch that our fictional families don't become more important than our real ones!